Here at C'est Moi we have always loved the inspiration that the French pull from the countryside. Beautiful blues, sunflowers and until recently insects like Bee's and Cicada's . While knowing that the cicada symbolizes summers in Provence and that they are considered to be lucky, I'm having a hard time embracing them. I think it's fair to say I have found my first thing FRENCH I can live without . The ormolu and textiles which these little bugs have inspired has taken on a new light, I'm not sure I will ever be able to look at them again without thinking of the summer of 2011. Let me explain.... I live in an area of Nashville dubbed "Green Hills" which is an older more established part of town and like the name says, it's very green and happens to be where these critters like to hang out! So until mid June when they leave or die or whatever it is they do I guess I'm going to consider myself very lucky and welcome summer French style with the deafening sound of the cicada. Couldn't refuse this sign . We had to put it next to little Jimmy our vintage concrete rooster . Chicken , Rooster, or human sometimes we all have our motives questioned . 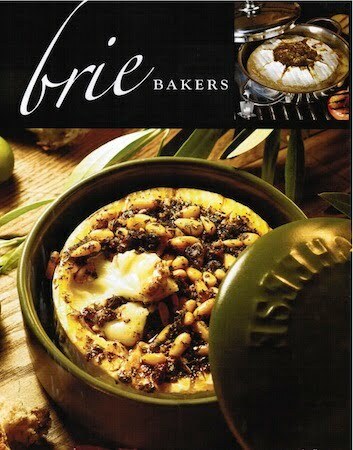 Whether you're wanting to dine Al Fresco or need a finger food for graduation parties, our new brie bakers are perfect for the occasion. Buy your cheese, add the toppings, bake, and then serve. Even a novice cook could appear to be a skilled Master Chef. Each starter kit comes with a ceramic baking dish and toppings. Additional toppings are also available for $6. Although they are all so delicious, a personal favorite at C'est Moi is the Apple & Pecan. Brie starter kits are $20. 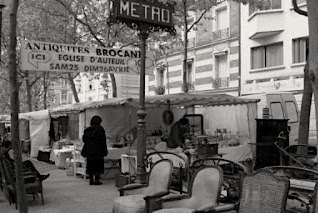 Coming into the spring season makes me envious of those who pass by the Eiffel Tower every day, or get to enjoy the famous flea markets of Ole Paris. So, Starting Wednesday May 4th through the 10th, we have decided to bring the streets of Paris to Brentwood, Tn. All of our furniture is on sale Brocante style!